The symptoms of Charcot foot may vary with regard to how much or how little you’re able to feel on account of your peripheral neuropathy. In some cases, you may not feel any discomfort at all. Others may feel some degree of soreness in the midfoot. You will, however, notice your foot swelling, particularly around the arch. The foot may appear red and feel warm to the touch. You might notice your foot becoming unstable, too. Occasionally you may observe unusual bumps or lumps as the foot breaks down. Ulcers can form more easily as well. Catching the problem early on is critical. Early treatment increases the likelihood that the limb will completely recover. If you have diabetes and notice any of these symptoms, have your feet checked immediately. Our staff at Carolina Podiatry Group will work to get you an appointment as soon as possible to take care of the condition before it progresses any farther. Use our website or call our South Carolina offices to reach us: (803) 285-1411 for Lancaster, or (803) 548-FEET for Fort Mill. How long does toenail fungus recovery take? The speed of your toenail fungus recovery partly depends on the effectiveness of your treatment. In general, though, healing takes however long your nail needs to grow out. Usually it will take about a year for a nail to completely replace all the damaged keratin, though you may see improvements after only a couple months. Certain treatments may show your nails clearing and re-growing more quickly than others, too. Topical and oral medication take a while to eliminate the pathogens under the nail. Laser and nail surgery both eradicate the infection quickly and allow the new nail to grow in right away. Still, the speed of your recovery is limited by how long it takes to grow in a new nail. That’s part of why treating the infection right away is so important. The sooner you take care of the infection, the sooner you restore your nails to full health. Let Carolina Podiatry Group help you improve your nails. Just contact our South Carolina offices for an appointment. You can reach use through our website or by calling (803) 285-1411 for Lancaster, or (803) 548-FEET for Fort Mill. How can I tell if my child has Sever’s disease? When a child has heel pain, the most common cause is Sever’s disease. There are a few give-away symptoms that can help you identify the condition. Sever’s disease causes pain and tenderness at the back of the heel that is made worse by activity, particularly sports. Resting typically relieves much of the pain. The back of the foot is often sensitive to the touch, such as squeezing the sides of the heel. That area may appear red and swollen as well. Your child might also have tight calves and possibly restricted range of motion in the ankle as a result of the ailment. All of this can make it difficult for your child to walk. He or she may limp from discomfort after being active, or resist participating in sports and games he or she would normally enjoy to prevent the pain. Beyond evaluating these symptoms, our team at Carolina Podiatry Group can use diagnostic tools and tests to rule out conditions like stress fractures and confirm Sever’s disease. Let us help your family get accurate care. Contact our South Carolina offices through the website or by calling: (803) 285-1411 for Lancaster, or (803) 548-FEET for Fort Mill. Heel pain has a lot of potential causes, and not all of them may be preventable. If your heel hurts in the morning when you first get up, though, there are ways you can help minimize or even prevent the discomfort. During the day, wear supportive, well-fitted shoes with cushioned heels. Stretch periodically, particularly focusing on the Achilles tendon and the plantar fascia. Add in some stretches and foot exercises right before bed, and when you first wake up in the morning. The condition that causes heel pain first thing in the morning, plantar fasciitis, is an overuse problem, so make sure you condition your feet for your exercise. Pay attention to when they ache or get tired, and let your feet rest as much as possible when they reach that point. It’s much nicer for you to prevent heel pain than to have to treat it. Let Carolina Podiatry Group help you take care of your feet. Use our website to reach our South Carolina offices for an appointment. You can also call us directly: (803) 285-1411 for the Lancaster location, or (803) 548-FEET for Fort Mill. 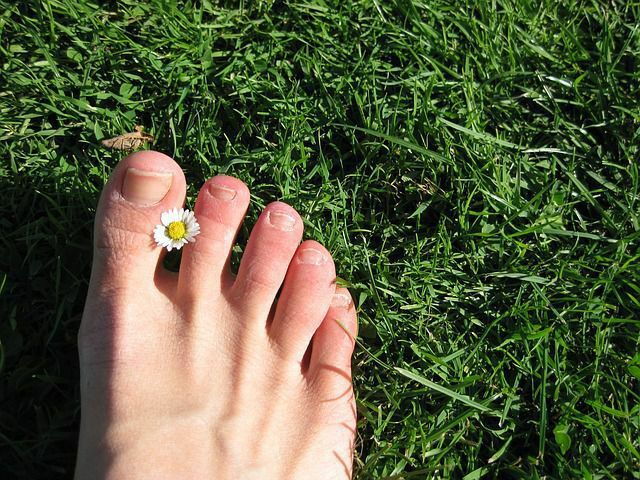 Toenail fungus can be embarrassing, bothersome, and super stubborn. If you’ve tried topical medications to rid yourself of the thick, crumbly, distorted, and discolored nails that a fungal infection causes, but nothing seems to work, you may want to consider laser treatment. This noninvasive and painless procedure uses a precisely directed light beam to eliminate the fungus without harming any of the surrounding tissues. With light energy of a specific wavelength and sufficient strength, the laser is able to project into the nail, destroy the fungus, but leave the nail intact and completely unaffected. It’s pain-free and it works! Learn more at Carolina Podiatry Group in SC. Make an appointment with Brandon Percival, DPM, Julie Percival, DPM, or William Harris IV, DPM, today. Just call (803) 285-1411 in Lancaster, (803) 548-FEET (3338) in Fort Mill, or (803) 285-1411 in Chester. You can also visit us online or on Facebook. How do I treat a blister? The best way to treat a blister is to protect it from outside bacteria and germs by leaving the skin intact. For a small blister, simply cover it with a bandage and it should go away on its own without further friction. Larger bubbles may need draining, but there are specific steps you need to follow in order to do this correctly. First, clean the area well. Then, disinfect a needle by swabbing it with rubbing alcohol. Next, use it to carefully poke a small hole near the outer rim. Gently press to guide the fluid out of the hole, while keeping the outer layer of skin in place to protect the underlying tissue. Apply anti-bacterial ointment and cover with a bandage. Wearing moisture-wicking socks along with shoes that fit properly are the best lines of defense against rubbing your skin the wrong way! For more tips, contact Carolina Podiatry Group by calling (803) 548-FEET for our Fort Mill, SC, location or (803) 285-1411 for our Lancaster office. Make an appointment with Brandon Percival, DPM, William Harris IV, DPM, or Julie Percival, DPM, today. The most common reason your heel hurts in the morning is plantar fasciitis. This is inflammation, thickening, and stiffening in the ligament band called the plantar fascia, which stretches from your heel bone to your toes. This band helps your foot absorb shock, but it can become aggravated under too much pressure. As the band swells and stiffens, it pulls on your heel bone, causing pain. This is worst in the morning because the plantar fascia tends to swell over night while you sleep. Then, as you stand to your feet when you first wake up, the band is forced to stretch out suddenly. This causes the sharp pain you feel. Depending on how thick and tight the band is, you may even develop micro-tears in the tissue. If you’re struggling with heel pain, particularly first thing in the morning, you should have your foot checked for plantar fasciitis. The Carolina Podiatry Group staff can help you diagnose and take care of this condition. Just contact our South Carolina offices for an appointment. You can use the website request form, or you can reach us at (803) 285-1411 for our Lancaster office, or (803) 548-FEET for the Fort Mill location. What are the best stretches for heel pain? Plantar Fasciitis, the most common cause of heel pain, occurs when the band of tissues connecting your heel to your toes becomes inflamed. This can hinder your daily activities, but there are some simple stretches that you can do to ease your discomfort. First, lean against a wall with your leg straight behind you and your heel pushed toward the floor. Now try standing on a step with your heels hanging over the edge, and push them downward. Next, roll a can from your toes to your heel and back to loosen and massage the bottom of your foot. If you have a towel handy, place it on the floor in front of you, grip it with your toes, and pull it toward you. Now take a seat, loop the towel around your foot and pull the ends towards your body. You can also just grab your toes and flex them toward your shin. For more stretching tips, contact Brandon Percival, DPM, Julie Percival, DPM, and William Harris IV, DPM of Carolina Podiatry Group, Inc. Visit one of our locations in Lancaster, Fort Mill, or Chester, SC, or call (803) 548-FEET today. Why should my child get a foot exam? Parents shouldn’t wait to take their child to see a podiatrist until he or she is experiencing pain. A good, thorough foot exam early on can prevent problems from occurring in the first place. The doctors at Carolina Podiatry Group encourage you to bring your child in even as a newborn. This is an essential component of evaluating your baby’s health. Assessments can be made to diagnose deformities and abnormal issues, as well as joint range of motion and dermatologic, neurologic, and vascular status. Furthermore, early treatment of most conditions is essential for conservative measures to work. Depending on the problem, if it is detected early enough, surgery can often be avoided. Even if a surgery is necessary, doing the procedure at a young age allows for a better chance of success and a quicker recovery. Spot problems early to prevent bigger problems later. Make an appointment with Brandon Percival, DPM, Julie Percival, DPM, or William Harris IV, DPM, of Carolina Podiatry Group by calling (803) 548-FEET in Fort Mill or (803) 285-1411 in Lancaster, SC. What should I do if I have sprained my ankle? A sprained ankle is a common injury that occurs when ligaments stretch beyond their limits and are unable to return to their normal position. This injury can range from mild to severe, involving a complete tear of the tissue. Symptoms include immediate pain, tenderness, bruising, and swelling, and in serious cases, instability. 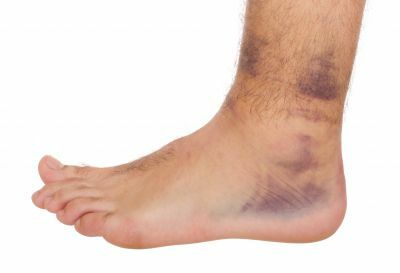 If you suffer an ankle sprain, you should seek help from the Carolina Podiatry Group, Inc. We will determine the severity of your condition and recommend appropriate treatment. For mild and moderate sprains, rest, ice, compression and elevation helps reduce pain and swelling and quickens the healing process. A splint or walking boot may also be used to immobilize the ankle and keep weight off of it. For severe cases, you may need to wear a cast for several weeks. Physical therapy will aid in restoring strength, flexibility, stability, and function. Contact Brandon Percival, DPM, Julie Percival, DPM, and William Harris IV, DPM for all of your ankle care needs. Just call (803) 285-1411 for our Lancaster, SC location, or (803) 548-FEET for our Fort Mill office.